De Raad van de Inheemse Grootmoeders is 13 jaar geleden bij elkaar gekomen om ons te vertellen dat het Nu Tijd is. Opdat we onze verbindingen weer herinneren en daaruit kracht kunnen putten. Vanuit deze verbinding kunnen we beter zorgen voor onze gemeenschap, of die nu voeten, vleugels, vinnen, wortels of poten heeft. WE JOIN YOU IN THE SADNESS OF HEARING OF OUR SISTER GRANDMOTHER'S JOURNEY TO THE SPIRIT WORLD. WE SEND YOU OUR HEARTFELT LOVE, AND EMBRACE YOU WITH COMFORT AT THIS SACRED TIME OF HER TRANSITION AND JOURNEY OF PEACE AND TRANQUILITY. SHE WALKED A RICH AND FULFILLING LIFE IN THIS WORLD, AND WE GIVE THANKS FOR THE GIFT OF HAVING HER CROSS OUR PATHS. WE LOVE OUR SISTER TSERING DOLMA, AND WILL FOREVER CHERISH ALL THE FOND MEMORIES OF OUR TIME WITH HER OVER THE YEARS. SHE WAS A KIND, GENTLE AND LOVING MEMBER OF OUR WONDERFUL CIRCLE OF THE INTERNATIONAL COUNCIL OF THIRTEEN INDIGENOUS GRANDMOTHERS AND WILL BE DEARLY MISSED. SHE WILL ALWAYS HAVE A PLACE IN OUR HEARTS, AND AT THE TABLE OF THE GRANDMOTHERS. WE OFFER OUR PRAYERS IN HONOR AND RESPECT FOR OUR DEAR SISTER GRANDMOTHER TSERING DOLMA FOR A SPEEDY AND FAVORABLE REBIRTH. We embrace and greet you with a peaceful and hopeful heart. It is with great joy that we bring you Happy New Year 2018 greetings and an update from the International Council of Thirteen Indigenous Grandmothers. 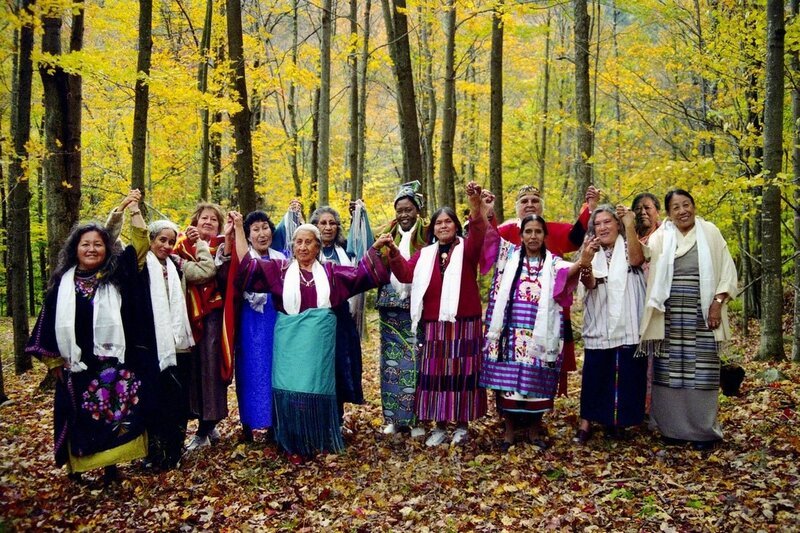 As most of you know, for the past thirteen years, the Grandmothers Council traveled together on a spiritual pilgrimage across the world, planting seeds of prayer and asking for the protection, respect and healing of our Mother Earth and all her children. Creator gifted us with the support of many people that were touched by our initiative. We visited each of our Grandmothers sisters’ homelands, and were invited to visit many different countries and peoples to pray with them and for them. We touched many hearts and our hearts were touched in all ways. We planted many seeds throughout the world and now they have sprouted and multiplied. Today we are happy to know that many circles of grandmothers and indigenous elders have been formed all over the world. Those of us that can still travel are moving forward. At times we represent the International Council of Thirteen Indigenous Grandmothers and at times we represent our respective cultures and traditions. We continue to be in alignment with our mission of prayer and alliance. We are grateful to give you an update on our new multimedia book project, Grandmothers Wisdom: Reverence For All Creation, which is currently in production and due for release in 2018. Our new project offers in-depth portrayals of each us - founding members of the Grandmothers Council. Through storytelling, photographs, illustrations, video, and recorded dialogue, the Grandmothers Wisdom project has opened personal and intimate windows onto each of our lives, traditions, oral histories, ways of prayer and ceremonial practices. This project is being created in such a way as to preserve the beauty and depth of our life stories and the authentic character of our voices and teachings. For more information and ways to help with the production of the Grandmothers Wisdom: Reverence For All Creation project, please visit www.macreativeinc.com or email ma@macreativeinc.com. With a profound sense of gratitude for your inspiring support over the years, we send our very best to you from the International Council of Thirteen Indigenous Grandmothers. We look forward to the fruition of our prayers for there is still much to share and much to do. We look forward to continuing our efforts to carry the voice of women and the message of the elders for the respect for natural laws and for all of life. When we, the founding grandmothers, came together in 2004 and decided to form the International Council of Thirteen Indigenous Grandmothers, we did not really imagine where our path together would lead us. We were moved from a call from our hearts to join forces and turn prayer into action for the good of the seven generations to come. We came together in a circle and shared the concerns and the most deep wishes of our hearts for Mother Earth and Her children. When we refer to Her children, we include all life that lives on Her, and all the generations to come. We told each other about the beauty of our homelands and our ways of life, and together we prayed in gratitude for these treasures of Creation. We told each other about the suffering of our peoples, our trees, our waters, our air, and together we prayed for their relief. We were invited, as traditional grandmothers, to a Global Women’s Gathering at Menla, a retreat center in New York, USA. When it was almost time to go home, we felt that we had something else to do together. And that is how our council came to be. We committed to become a voice for the voiceless. We felt that we were guided by a common destiny to honor the prayers of our ancestors. So we made a plan to visit each one of the members of the council’s homelands, to pray together for world peace. Peace for Mother Earth and all Her creatures. We walked on that pilgrimage for twelve years. Our beloved Creator gifted us with the support of many people that were touched by our initiative. Thus, we not only visited our sisters’ homelands, but we were invited to visit many different countries and peoples to pray with them and for them. We touched many hearts and our hearts were touched in all ways. We faced many challenges and were strengthened by our prayers for transformation. During these twelve years we planted our seeds throughout the world and they sprouted and multiplied. Nowadays we hear about many circles of grandmothers that have been formed all over the world. We hear about circles of women, youth and grandfathers. Our hearts are filled with gratitude. In July 2015, we fulfilled our plan in the continent of Africa, the ancient cradle of humanity, in Gabon. We met once again in 2016, for a retreat at Menla as a full circle completion of our pilgrimage. On this occasion, we prayed together with the family of one of our founding members, Lakota Grandmother Beatrice, who left to the spirit world. Among us, several grandmothers were very tired and needed to return home. We agreed that we would not make new plans, but we affirmed that our alliance of prayer would continue on forever. Now, in several Grandmothers’ homelands and in other places, other circles of grandmothers are moving forward. Thus, those of us that can still travel are moving with them, supporting that prayer. The original seed of our motion, the International Council of Thirteen Indigenous Grandmothers, has found a means to carry out the voice of our legacy. During the last seven years, we have each contributed to our new project, “Grandmothers Wisdom: Reverence For All Creation” by opening our homes to land a sacred record of our ways of life. At this moment, we acknowledge “Grandmothers Wisdom” as the fruition and the outreach of the voice of our Council. We are grateful for all of your support over the years. 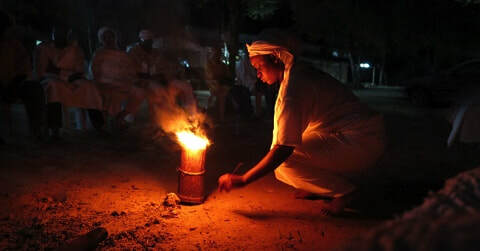 We so appreciate the ongoing contributions so that we can continue honoring the prayers of our ancestors and make a path for the future generations. We are at a crossroads in Humanity and with the Path. I am faced with the decision to possibly close The Path as a 501(c)(3) and perhaps sell the 40 acres. If I can’t raise the funds to sustain the costs of The Path we will put the land, temples and buildings for sale to an individual(s) or organization to care for both the physical and invisible community. My life's mission is to preserve for seeds. I OFFER BLESSINGS TO EACH OF YOU GOOD, KIND AND GENEROUS FRIENDS AND RELATIVES. WE ARE THANKFUL FOR ALL THE SUPPORT THROUGH YOUR DONATIONS FOR OUR NEW BOOK: A STORY FROM OUR HOMES AND HEART. MAY YOUR LIFE BE FILLED WITH LIGHT AND LOVE!